One of the questions I hear most often is “how much will it cost to get my website up and running”? 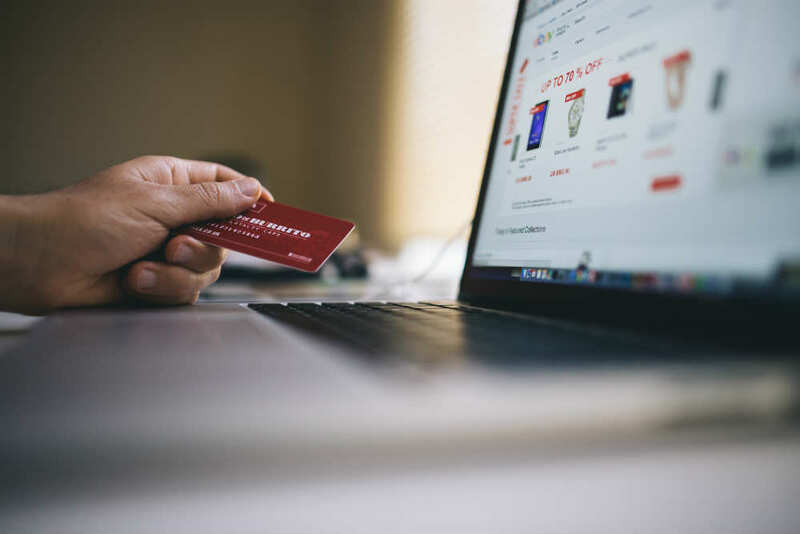 When building an e-commerce website, there are a lot of fees that need to be considered in order to be able to properly budget for your project. Below is an easy to understand guide about the supplemental costs that you should expect when building an e-commerce website. These costs do not include any of the more obvious costs like web development or marketing activities that you may do later to bring traffic and sales to your website. Of course all of these things can fluctuate depending on the complexity of your site, but this should give you a good idea. The fees listed below do not include the price you’ll need to actually pay the developers. Platform – When building a website, choosing a platform to build your website on is one of the most important decisions that you can make. It’s crucial because you need to make sure that it has all the features you’ll need as your site grows over time. Changing this later on is a very time consuming process, so choose wisely. Many platforms such as WordPress and Joomla are free to use, but require you to pay for web hosting and web development fees. Some of the paid platforms charge a one-time fee while others charge a monthly fee which can range from $250 to $1,000 a year, but these come with website templates that allow you to build simple sites yourself without having any technical knowledge. Some web developers have their own custom platforms that they offer to their customers for free. Website theme – Certain platforms require you to choose a theme for the design layout of your website. Some themes are free, while others can cost up to $200. Plugins or apps – Everyone wants to add extra features to their website, and these are usually not part of your basic platform package. Many of these features can be added with a free plugin or app, but unfortunately many of them need to be paid for. You can find tons of free plugins online, so before you buy something, see if you can get it for free. If it is something that needs to be purchased, depending on the platform and plugin, there will either be a one-time fee (usually between $50-$500) or a monthly fee of $10 to $30. It’s not much, but as you start installing more and more plugins, it begins to add up. Hosting – When you choose a free platform like WordPress, you’ll need to purchase a hosting plan as well. Plans start at $2 and can cost up to a few hundred a month depending on the kind of package you choose. The plan you’ll need depends on how much traffic you expect and how much content your site will have. You can usually get a discount when paying for the plan annually or for multiple years in advance. Paid platforms like Shopify and Wix, include hosting as part of the package. Security Seal – Websites that are processing credit cards, should have an SSL certificate on the site. This ensures that your data is safe and customers will feel more comfortable purchasing from your site. There is a wide range of prices, from $100 per year and up depending on the certifying company. Try purchasing a multi-year plan to save some money. Credit card processing – In order to process credit cards on your site, you will need to work with a merchant center and a gateway. (Paid platforms like Shopify have their own processing options). There is a set fee that needs to be paid for every credit card transaction, usually between 2.5 – 3% of per transaction. Some gateways are free, while others charge $25 a month and up. There is also a small fee per transaction, around $.10 – $.30. Depending on the amount of sales of your site, these fees can add up so make sure to look carefully into them before committing yourself. Content – Your website will need to have quality content. You will also need text for your product descriptions. There are plenty of online freelancers for this kind of work. Freelance writing work can start at $5 per product description and up (check out Fiverr.com). For a full page of text for your website, the price can range depending on the quality of the writer, but a good estimation would be $25 per page or article. Good content is important for your customers to clearly understand what you are selling and is useful for search engine optimization, helping you rank for the keywords that are most important to you. Images – Quality, high-resolution images are of super important for ecommerce websites. Not only will you need images for the homepage, but you will also need product images for every single product you’ll be selling. Homepage and category images can be bought on stock photos sites, and depending on the products you’re selling you may need to shoot your own photos. Ideally the more images you have per product, the happier the customer is as they can get a real sense of the product that they are buying. Purchasing images on a stock photo site can be very costly when mages start at about $5 per image on some sites and can be as expensive as $35 per image. If you need a large number of images, see if you can use a monthly plan and purchase all of your images at once, usually you will send up paying less per image. Hiring a photographer can also be very costly, they can range from $15 to over $125 per image. If you’re building a site with the help of an experienced developer, they may be able to help you save money by directing you to the best options for your specific needs. Otherwise, it’s wise to “guesstimate“ the costs based on the list above and add 10% for good measure when working out your total budget for getting the site live. Hope this list has been helpful, best of luck with your site!